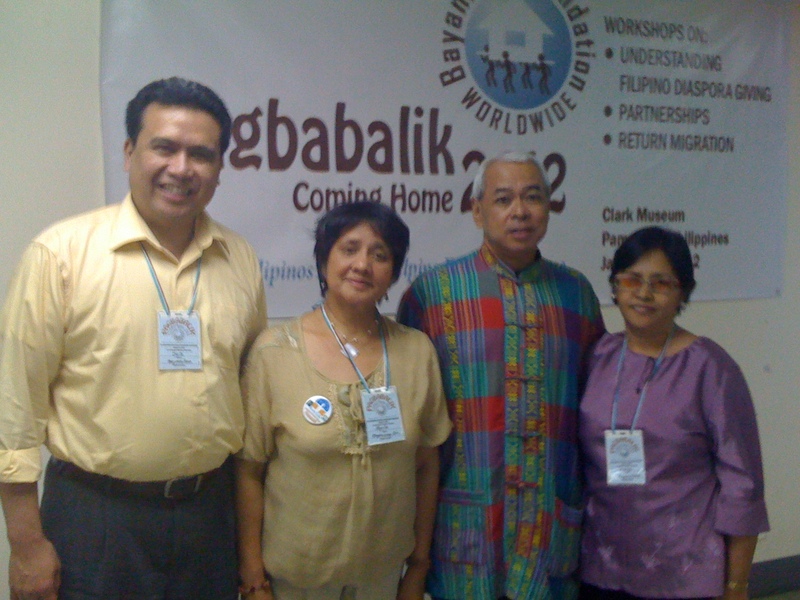 On January 21, 2012, the Bayanihan Foundation welcomed its partners and guests to its second annual ‘Pagbabalik’ (Coming Home) workshop at the Clark Museum, Clark, Pampanga, Philippines. The foundation especially welcomed its partner Rotarians from the Rotary Club of Chicago Far North. The Bayanihan Foundation is also exploring more partnerships including with Kanlungan in supporting returning migrant workers to the Philippines. 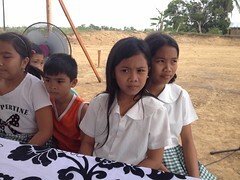 (from left to right): Dale Asis, Mryla Baldonado, Ramon Acoymo and Evelyn Castillo. Tenor Ramon Acoymo joined and serenaded the participants of the workshop. 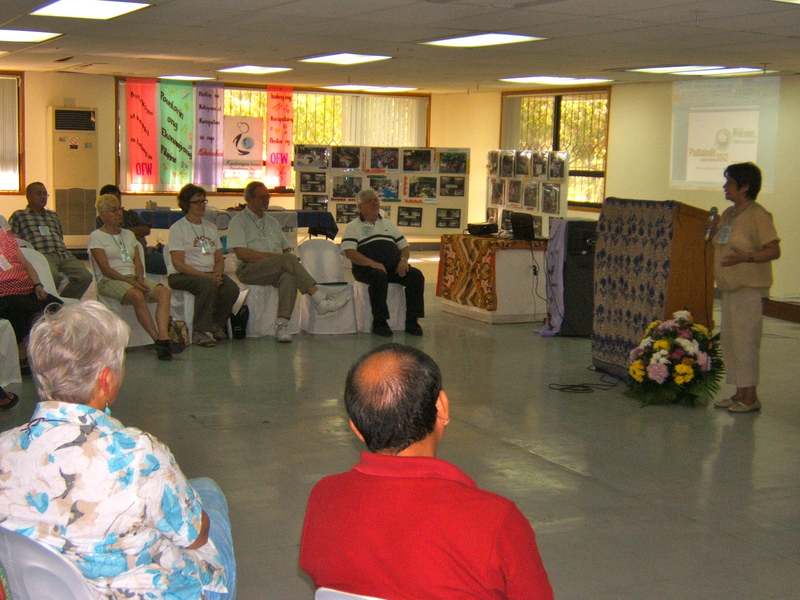 During the workshop, Tenor Ramon Acoymo serenaded the participants of the workshop. Mr. Acoymo, a well-renowned tenor, also teaches at the University of the Philippines. This entry was posted in Diaspora Donors, Diaspora Giving, philanthropy, Volunteerism and tagged community involvement, diaspora giving, Filipino diaspora, giving, philanthropy, Philippines. Bookmark the permalink.